Bulldog Trucking specializes in privately-owned vehicle transport, and our fleet features nine-car open trailers. Our trucks can handle passenger cars, sedans, pickups, large pickups, SUVs, vans, ATVs and golf carts. 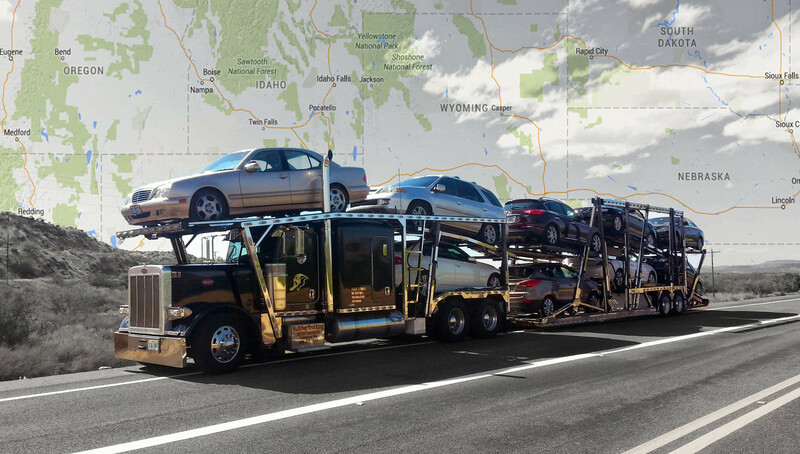 Bulldog Auto Transport specializes in nationwide shipping, and through our vast network of carriers, we can help you transport anything from a small car to large, heavy equipment. Open transport is the most popular and cost effective way to ship your vehicle. We have three different shipping options to fit different needs and different budgets. • OUR EXPRESS SHIPPING option is designed for clients who need expedited service. Starting at $300 plus the quote price, your vehicle is picked up in one-three days. • OUR STANDARD SHIPPING option is designed for clients who need service within a week. The Standard Shipping option is the general quoted rate, and your vehicle is picked up in one-three days. • OUR TRANSIT SHIPPING option is designed for clients planning ahead and need service within 15-30 days or longer. We’ll quote you the Standard Shipping rate, and then attempt to secure the best available rate by adjusting to market trends. We’ll reevaluate the market a week before your transport and adjust your quote price. The Transit Shipping option typically saves customers $25-$50 off the quoted price, if not more. We recommend you plan two weeks ahead of when you need your car transported.